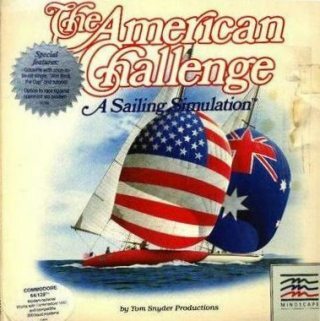 American Challenge is a sailing simulation. Special features include the cassette "Win Back The Cup" and tutorial. Option to race against an opponent via a modem. Learn the basics of sailing or race a variety of challenging courses. After practicing you can take the American Challenge by trying to beat the Aussies in the Cup Race.